With superstar influencers such as Dr. Dre and George Clooney building and selling consumer brands for billions of dollars, brand-building can be a tempting ambition for any entrepreneur. 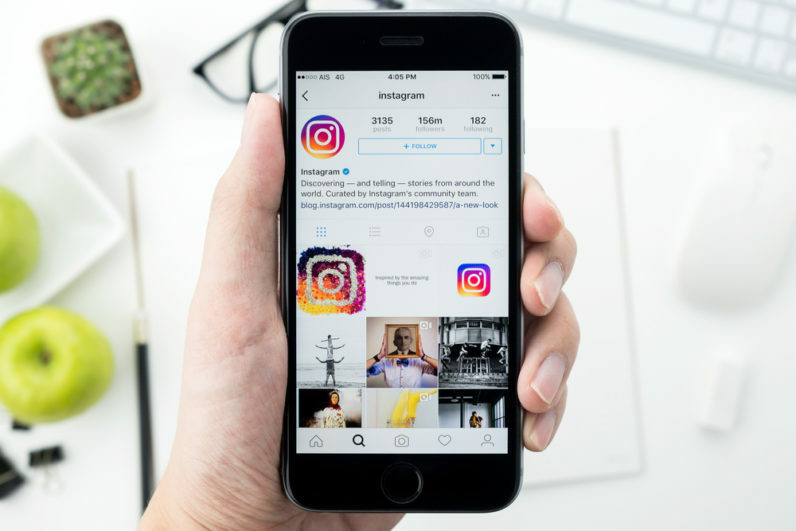 While top musicians and actors do have an edge on launching brands, social media tools like Instagram are increasingly leveling out the field so that anyone can build a successful brand. To get a better idea of what brand growing methods top Instagram influencers and brands use, I sat down with Yumna Jawad, founder of FeelGoodFoodie. Her Instagram channel has over two million followers and she shared her battle strategy for launching her food blog through Instagram. When she was first starting out, Yumna knew there were already tens of thousands of popular food bloggers. She needed to figure out what separated her from the rest. First, she considered her desired target audience, and what value she could offer in an otherwise crowded field. Rather than simply entering the space, Yumna consumed as much content as she could to figure out what she could do differently. She tested the waters by being a “micro-blogger” via Instagram, which gave her momentum and confidence in eventually launching a brand. In the early stages, Yumna would clock in 100 hours a week developing recipes, posting content and engaging with her audience to see what ideas worked well and what did not. As she suggested, it’s important to “Think about what excites them? What motivates them? What pains them?” She even hosted cooking challenges for her followers (for example the #eattherainbow challenge encouraged followers to make recipes using different selected colors every week) to see what types of recipes they enjoyed cooking. These tests provided her immediate feedback and insight on her followers’ preferences and favorite recipes, which in turn guided her new content production. For instance, she quickly learned that not only did she have a predominantly female audience, but also moms who wanted to learn new and easy recipes. With that in mind, she tailored her content to easy-to-find and inexpensive ingredients to target a wider audience. Yumna explained that while a colorful and beautiful image of fruit will garner the most likes from her followers, it will have low engagement in regards to comments, tags, and shares. Her deeper understanding of what content interacts best with her demographics is what allowed her to test the waters with her brand and eventually scale it up into a influential channel. Through her work in content creation, Yumna early-on identified the importance of a number of metrics, besides just follower and like counts. She went on to break down audience behavior into likes, follower growth, tags, comments, and site clicks. In fact, the most liked Instagram posts were not the posts that drove the most site clicks, which is essentially the most important blog site metric. The key was finding recipes that were easy enough, intriguing enough and approachable enough to get consumers to visit her site. And this lesson can be easily transferred to any brand or product offering. At first, Yumna cared much more about the recipes she was posting than the pictures she was taking. In fact, for the first three years of Instagramming, she even shot all her recipes on her iPhone! But after a while, she challenged herself to not only develop her verbal communication about describing her recipes, but also her visual communication in her photography. That meant using a Canon DSLR camera, buying more photography props and learning to edit photos using Lightroom and Photoshop (instead of the generic Instagram filters only). This professionalism and consistency in communication slowly developed, and strengthened, her brand image. For anyone looking to test an idea on social media, Yumna recommends “developing a unique and consistent style that stands out – that’s what personal branding is all about!” As she continued to grow even more, her images began to take on a particular style that was unique to her and homogenous throughout her feed. Now whenever people look at her page or see her content on other pages, they instantly recognize her style. Regardless of what your work on developing content is, Yumna notes that it is critical to create value for your targeted audience on your online presence. The value of FeelGoodFoodie’s Instagram account and blog is the aesthetically pleasing images, easy-to-create recipes and the approachable personality of a mom who has been there too! With free healthy recipes one click away, the perceived value is not tangible, but more akin to a service provided. Yumna says that “whether it’s a product or a service, the value provided with a brand platform will help gain testimonials, repeat clicks, and consumer loyalty.” She routinely works to engage with consumers and learn how she can better meet their needs for food related content to provide value. It can be difficult to keep up with comments, tags, and reposts, but Yumna says at the end of the day, these are the people most willing to interact with her brand. Therefore, she gives them the attention they deserve. While she had an easier start than most, with her website gaining over 30,000 viewers in its first month, her dedication to engagement has helped her keep people looped into the community. Few will have the same circumstances in launching a product or brand, but Yumna serves as an inspiring tale of how hard work and attention to what consumers want can lead to tangible results. Whether you simply want to test out your product or grow it to massive scale, diligence on social media can have powerful results.